Injustice: Gods Among Us is a DC fighting game that arrived to Xbox 360, PS3, and Wii U back in 2013. It featured the heroes of the DC universe, including Superman and Batman, clashing against one another in a Mortal Kombat style fighting game that tied into the Injustice comics. That same summer, Henry Cavill debuted as Superman in Zack Snyder’s Man of Steel. In turn, Henry Cavill’s Superman and Michael Shannon’s General Zod were eventually made DLC characters for the first Injustice game. In 2017, Injustice 2 arrived to Xbox One, PS4, and Microsoft Windows. Injustice 2 gave Superman a more villainous role than most fans are used to, as well as an awesome new costume. An incredibly talented artist by the name of Bryan Fiallos took to Instagram to show fans what Henry Cavill would look like if he were to don that awesome outfit worn by Superman in Injustice 2. Check out the exciting result in the post below. Henry Cavill’s most recent appearance as Superman was in 2017’s Justice League, which was released only months after Injustice 2 hit shelves. 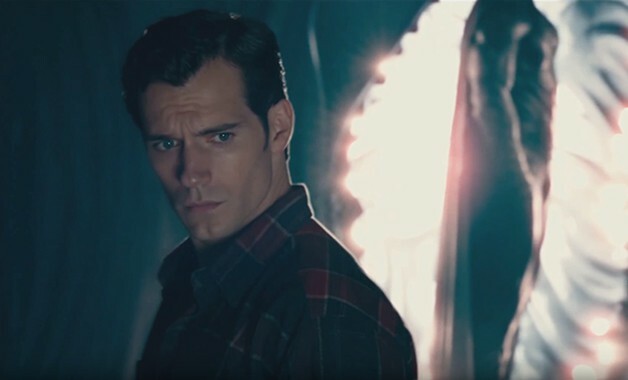 Before that, Henry Cavill brought Superman to life in hit films like 2016’s Batman v Superman: Dawn of Justice and of course, his inaugural appearance in 2013’s Man of Steel. Henry Cavill has yet to officially leave the Superman role but after Ben Affleck’s departure as Batman earlier this year, fans have begun to get worried about the actor’s future as the Kryptonian hero. Henry Cavill will next be seen in the Netflix fantasy series The Witcher. The series isn’t an adaptation of the video game franchise. Instead, it will be more of an adaptation of the original book series that the games were based on. We’ll be sure to keep you updated on all news regarding Henry Cavill’s future as Superman in the DC Extended Universe as soon as more information becomes available. What are your thoughts on the fan art? Which Henry Cavill Superman appearance in the DCEU has been your favorite so far? Let us know your thoughts in the comments below! Today on my refrigurator!! Ive also wrote another 12 paragraphs on my fan art!! Because I literally have nothing better to do.